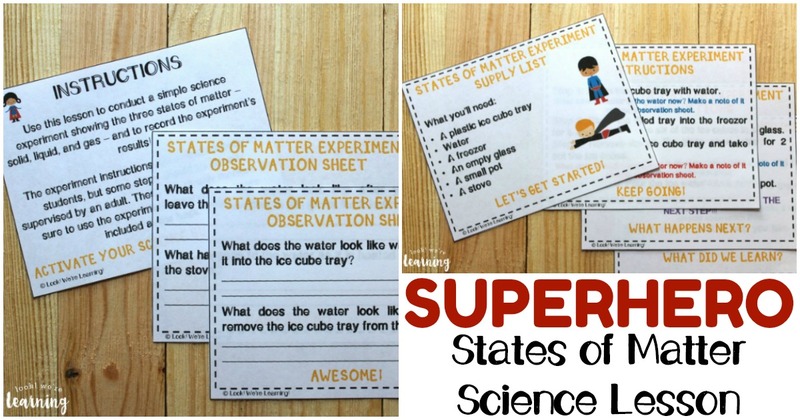 Super Hero States of Matter for Second Graders - Look! We're Learning! 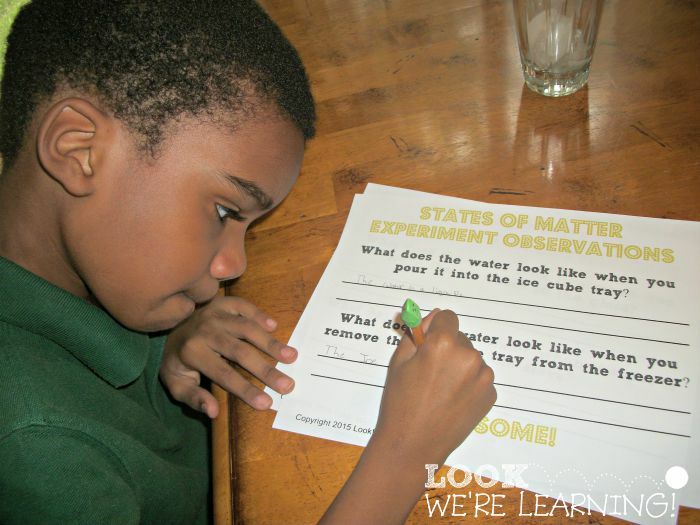 It’s time for another of our second-grade activities this week and today is all about states of matter for second graders. Superheroes are all the rage right now and Pooh is a huge fan of them as well. 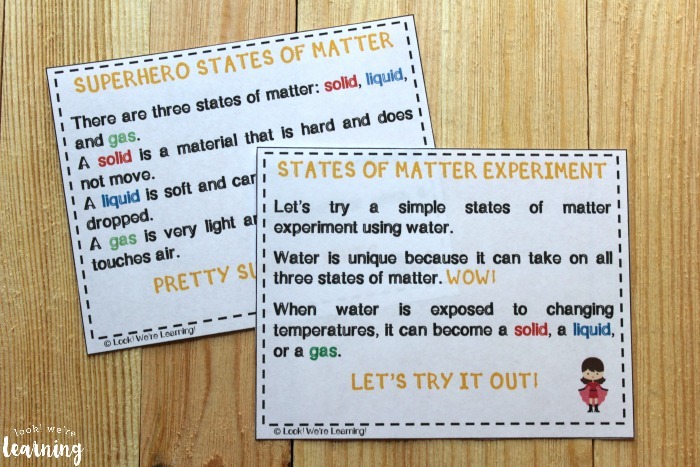 So, when it was time to talk about states of matter in science, I thought I’d add a little “superpower” to our lesson. And I’m sharing it with all of you today! 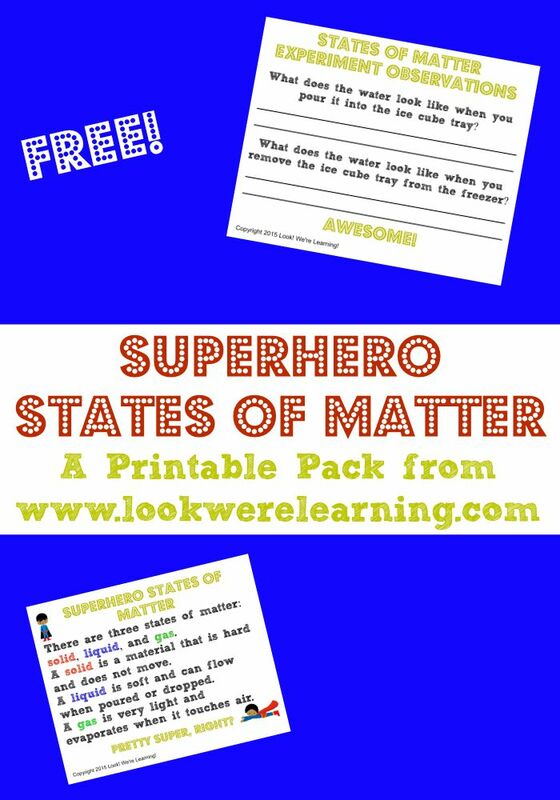 Read on to see how we learned about states of matter with our Superhero States of Matter Printable Pack! By the way, be sure to grab our free Superhero Student Planner Pages as well! 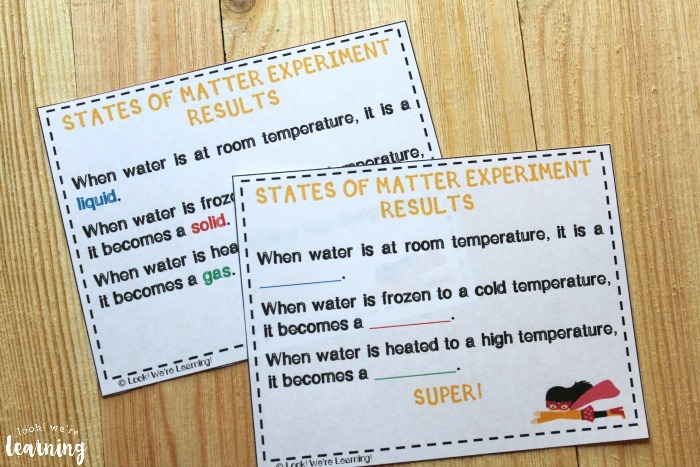 This printable second grade science lesson includes everything you need to demonstrate the three states of matter with a simple experiment. The supply list tells you what you’ll need and the instructions, which are written to students, explain how to perform each step. 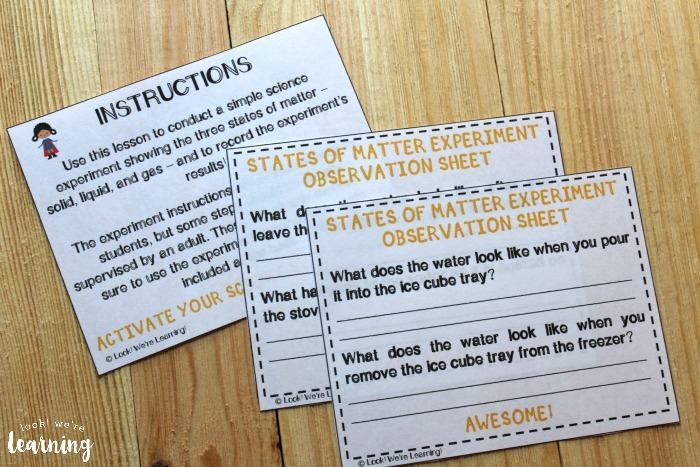 Printable observation sheets allow students to analyze the experiment’s results. In the second grade, one of the science objectives to cover involves discussing the three states of matter: solid, liquid, and gas. 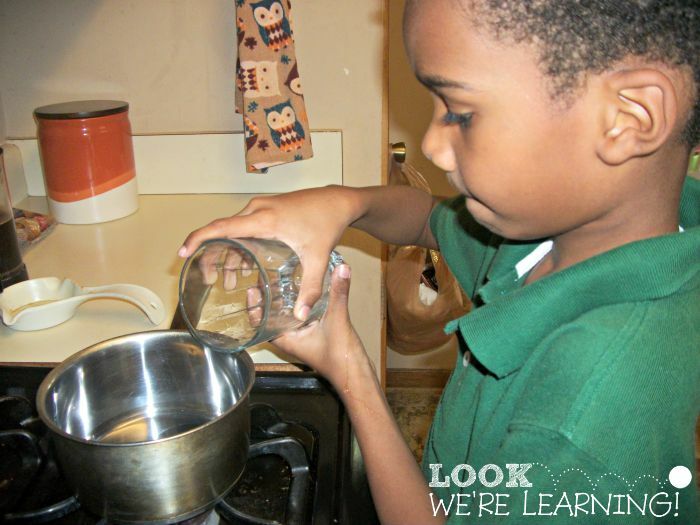 To help Pooh see how matter can change state and to help him grasp the concept, we did a simple science experiment with water. The prodcut explains exactly how to do the experiment – step by step. 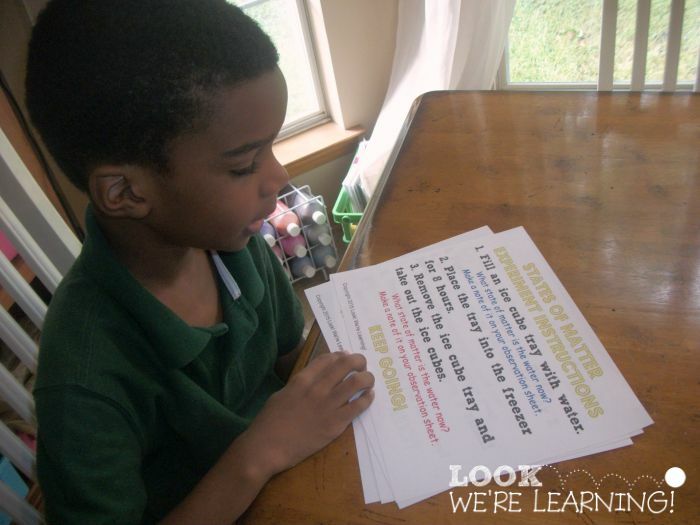 It’s written in a way that second-graders should be able to understand the directions on their own. But a couple of the steps require adult supervision, so this activity should not be done independently. 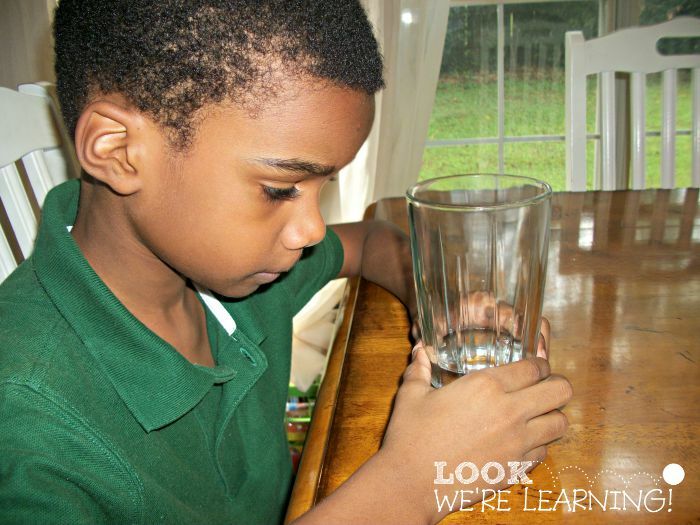 We started by observing how water changes from a liquid to a solid after freezing. Then Pooh wrote down his observations. 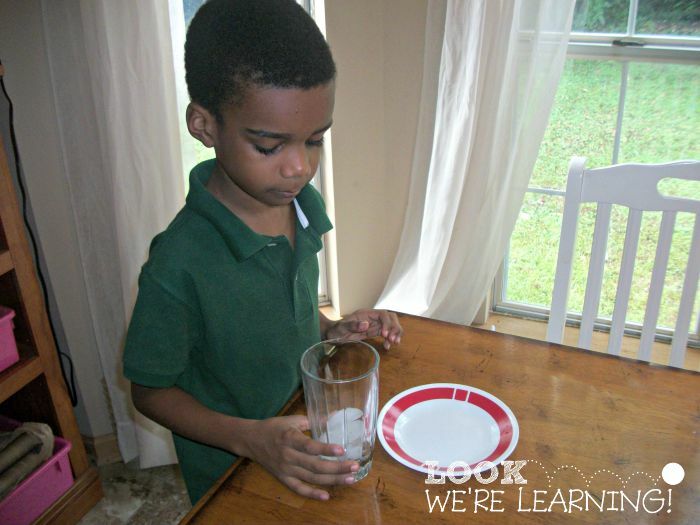 After the ice melted, we observed how the water had changed (once again) into a liquid. 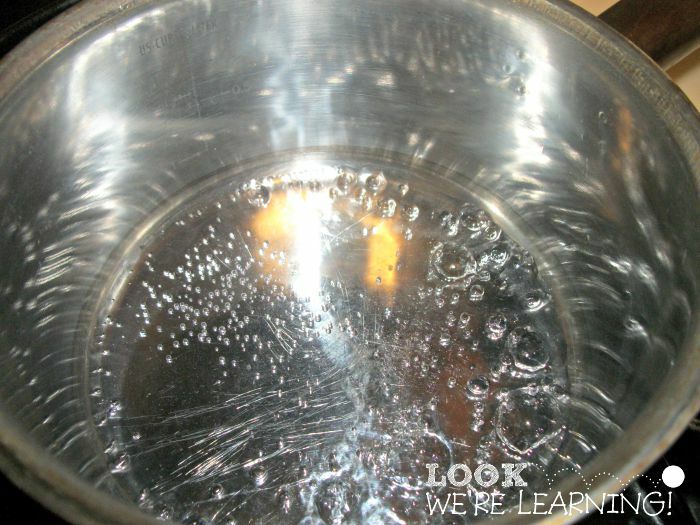 As the water slowly boiled away, Pooh was excited to learn that it was evaporating – converting itself to steam (a gas). 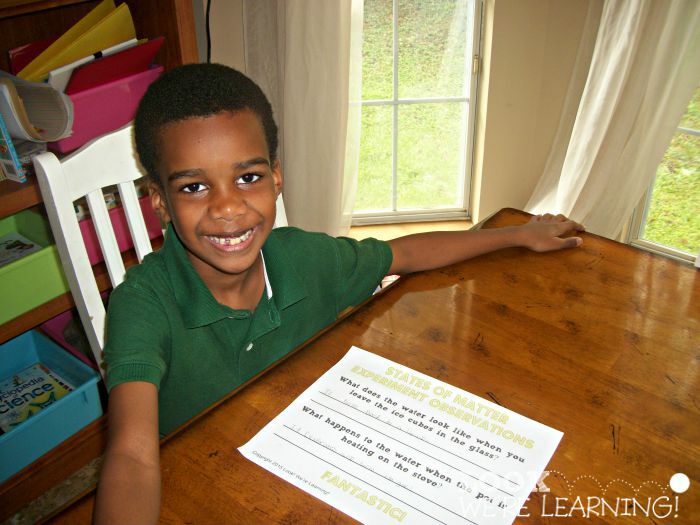 He wrote down his final observations and reviewed the experiment’s results. Look! An actual gap-toothed smile! 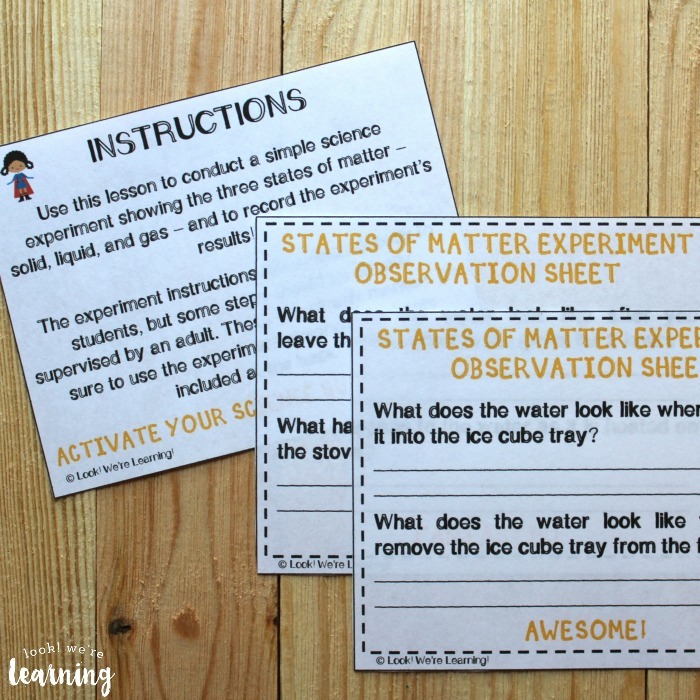 Pooh had a blast with this and it was a “super” way to learn about the three states of matter in an hands-on manner. 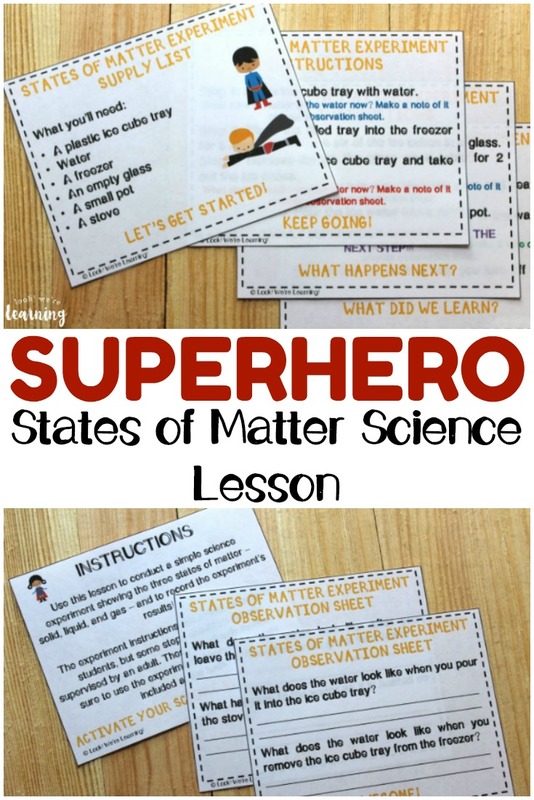 Scroll down to get your copy of our Superhero States of Matter for Second Graders Science Lesson! Like this post? 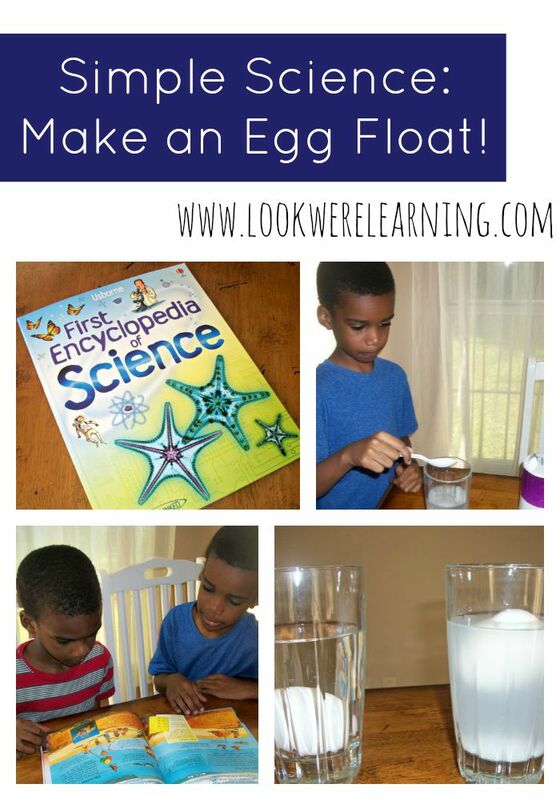 Stop by and see these other science experiments you can try! 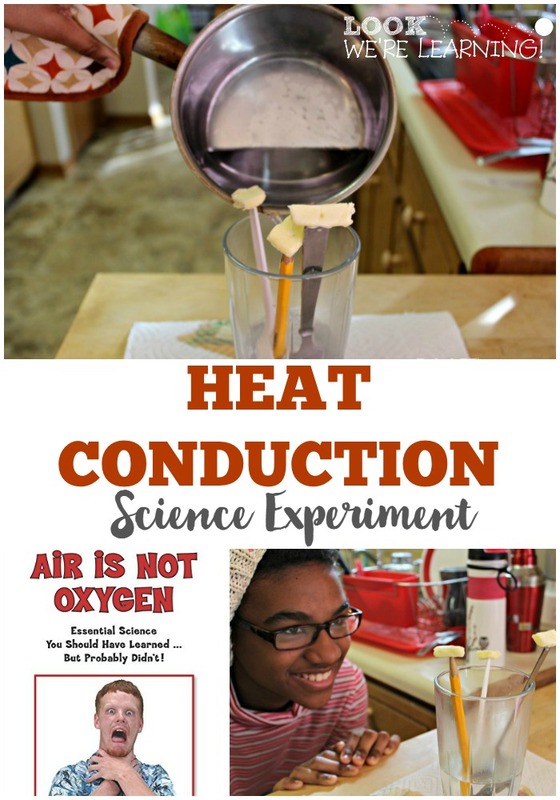 And get more tips for teaching science in your homeschool on my It’s Science Pinterest board! 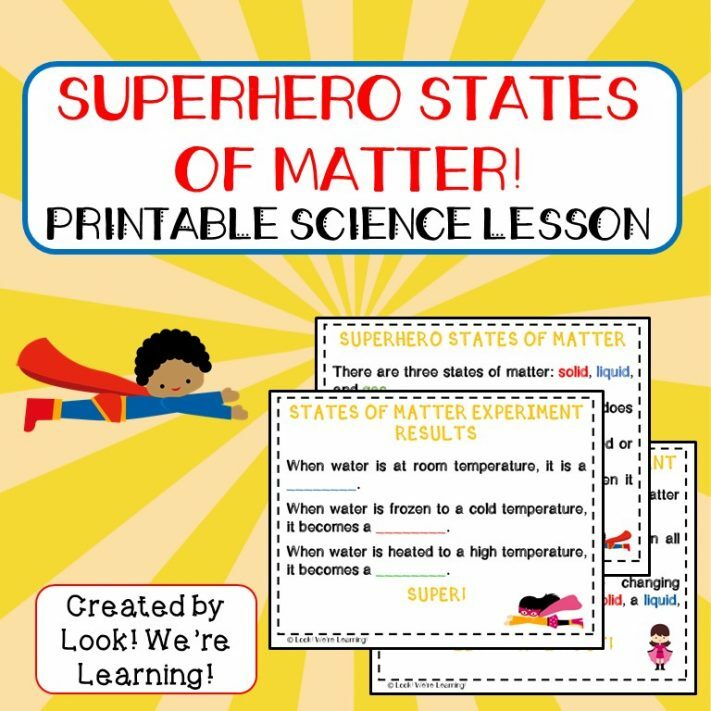 To get your copy of our Superhero States of Matter for Second Graders Science Lesson, click the image or the link below to visit our Store! Don’t forget to visit this week’s posts by the rest of the 2nd Grade Blogging Team! I bought something similar from the School Box Store near me here in Atlanta but this is way better. Love his smile! This looks like so much fun! Love the superhero theme! 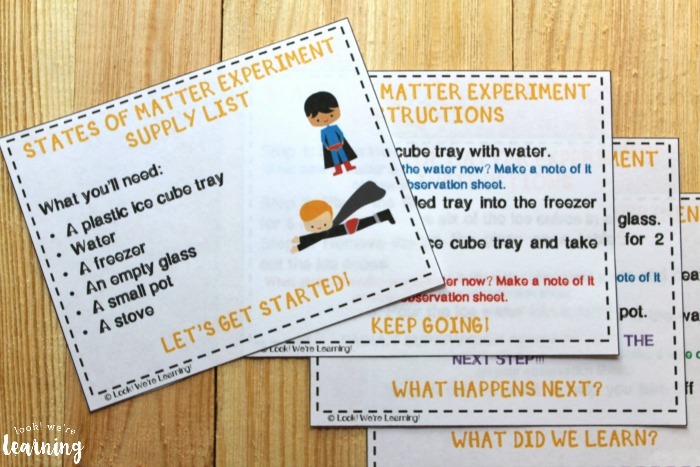 Injecting a super power into an activity in a great way to engage learning. i love this! 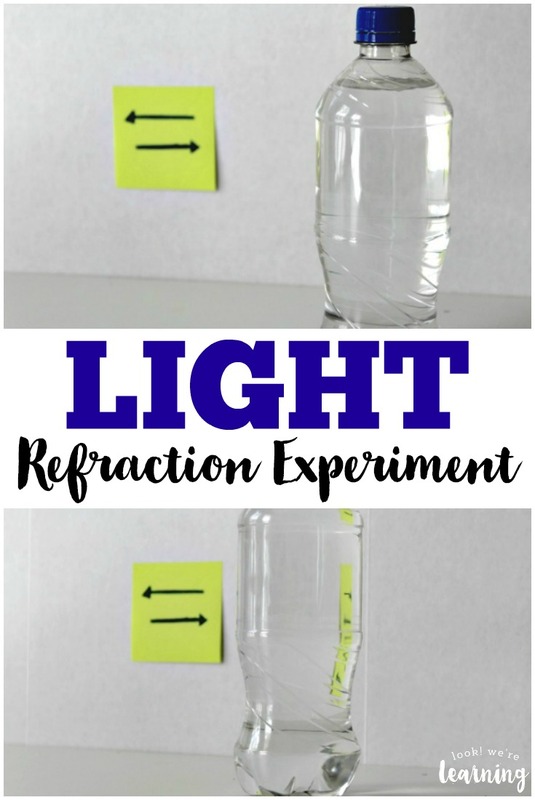 We are big fans of science experiments like this!